What to do during French school holidays in Paris Ile-de-France? What to do during school vacation? You decided to visit Paris and its area during French school holidays? 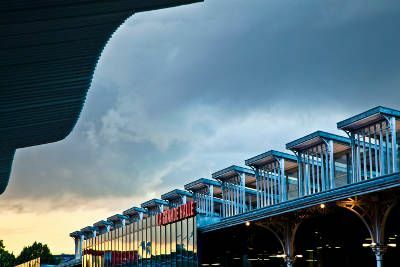 Here is a list of the most well-known places located in Northern Paris to explore all by yourself or with your family. Here you can find a lot of indoors and outdoors activities such as museums, parks, markets and different events... open all year long! Scroll down the page to see activities and special events organized for each season of the year! Find more information about public holidays in Paris and its area here. 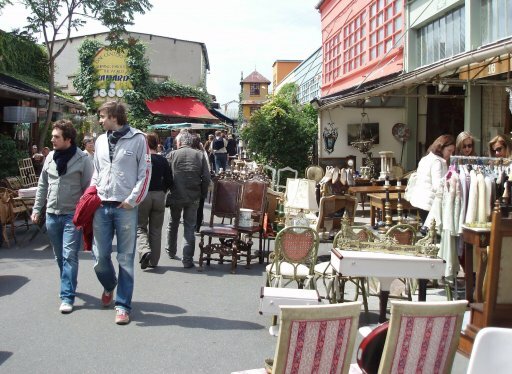 Visit the most famous flea market in the suburbs of Paris. Old or new clothes, books, music, art, furniture: you will find what you are looking for! Open from Saturday to Monday. This place is a former monastery transformed into a museum of art and history since 1981 and also composed of a garden. 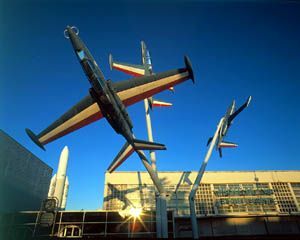 This aviation museum located in the North of Paris offers exhibitions, activities for children, a planetarium and also recounts the story of the different aircrafts in France. Why you should visit it? 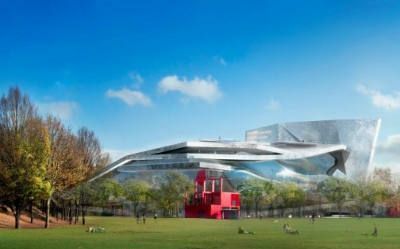 Located in the Northern Paris, the Parc de la Villette as too many things to offer: movie theaters, concert halls, museums, shopping malls... This is the place to spend a great day with your family! This science museum is perfect for children and teenagers and their thirst for discovery! Check out the different permanent and temporary exhibitions! The Philharmonie de Paris offers exhibitions, workshops and concerts all year long. You can also visit the Cité de la Musique (Music Museum) located next to it. 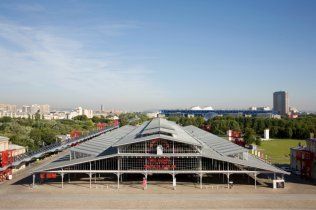 This place made of glass and iron is composed of 3 halls and holds professional or public events such as exhibitions, circus shows, dance and music festivals. 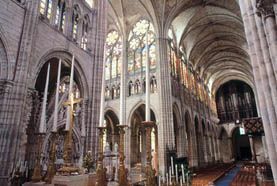 The Basilica of Saint-Denis is one of the most important heritage site near Paris. Explore the crypt, the necropolis and the recumbent effigies of the French Kings and Queens. You can find at this market exotic products coming from all around the world or just buy some fruits and vegetables to your local farmer. 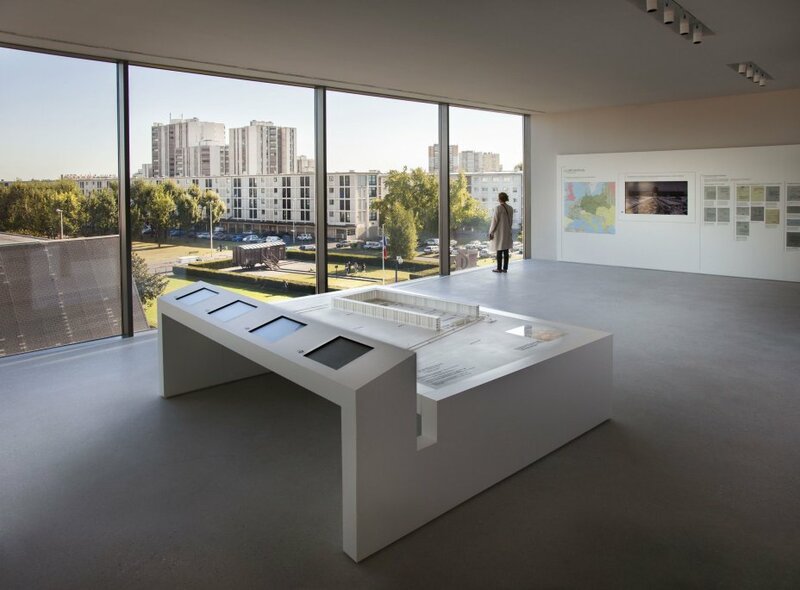 The Shoah Memorial located in Drancy is a museum and an information center about Jews' life during the WWII. Visit this place of remembrance. 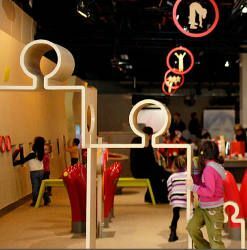 The Cité des Enfants, located inside the Cité des Sciences was specially created for children from 2 to 12 years old offering interactive exhibitions. If you have bigger children, check the activities for teenagers in Paris. Do not miss this incredible movie theater with a giant hemispheric screen, one of the largest in the world! 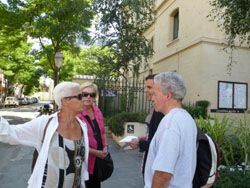 Book a visit with a local resident to discover Paris and its region in an original way! You are visiting Paris and its region on your spring, summer, fall or winter vacation? Here are some activities, events or places to visit according your schedule! What to do during spring vacation? 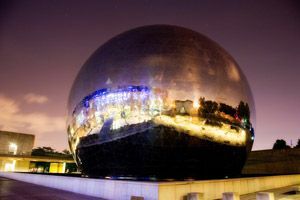 Two important events are held during spring: visit the European Museum Night (May 2019) where you can visit museums at night for free and the Mondial du Tatouage (Feburary 2019) to get an indelible souvenir from France! You are a football fan? 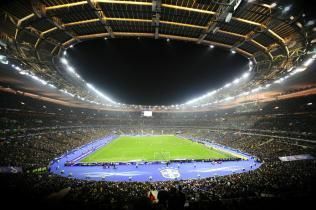 Book your ticket for the French cup final (April 2019)! The sun is slowly coming back so you could take a walk to the Sausset park including a bike path or the Parc de la Poudrerie. You can also bring kids to have some fun at the Robinson Island park in Montreuil. Take a look at the different parks of the region! Take a look at the different golf courses which suit for all the family. If you think that it is still too cold, you can go practise an indoor sport at the Academy Fratellini, a circus for kids, or do some climbing. 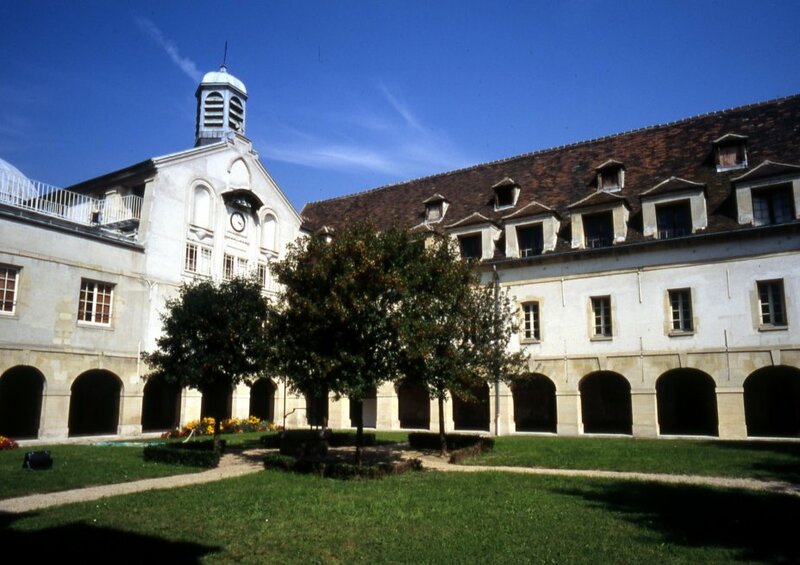 Visit the incredible Music Museum located at La Villette and explore the different music instruments from the 17th century to today. Enjoy the Musicians of Doisneau exhibition to discover more about the link between photography and music (January-April 2019). What to do during summer vacation? 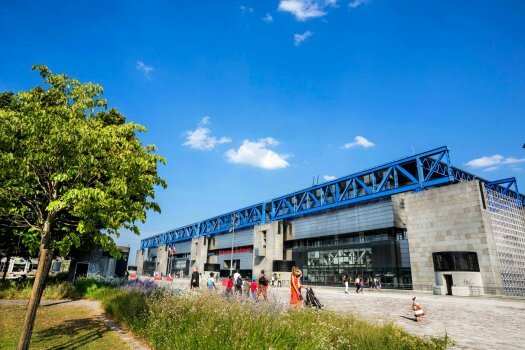 Summer is the most important season of the year, that is why the Seine-Saint-Denis region suggests you plenty of activities for all the family! 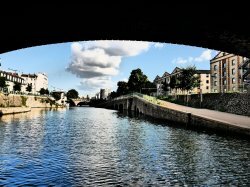 Eté du Canal: Every summer, the Seine-saint-Denis Tourism board organises river cruises on the Canal de l'Ourcq. 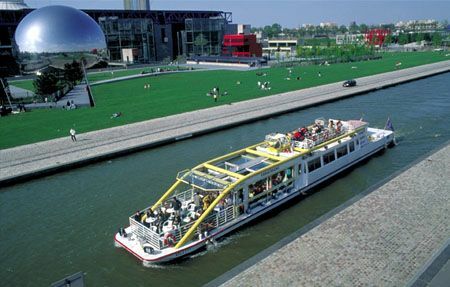 Take a look also at the Canal Saint-Denis and the Canal Saint-Martin and rent a boat! You can also take a walk along the canals. Stop at one of our barges along the Canals for a drink or a meal, to listen to music or attend exhibitions. Stop by the library barge to buy some books. Enjoy a weekend at the most famous summer event: Paris Plages! Located at the Bassin de la Villette, it offers a great outdoor swimming pool for all your family. Attend the Spartan Race (March 2019). A perfect event for families and friends. Do not hesitate to take a look at the other children activities in La Villette. You are a manga fan? Visit the Japan Expo (July 2019) held at the Villepinte exhibition center to strike a pose with Cosplay experts and try some japanese food. Do not miss Metallica (May 2019) and the talented BTS (June 2019) at the Stade de France for two concerts! You can also go watch a movie at the open air cinema at La Villette. Take your kids to an outdoor pool in Montreuil or composed of a solarium in Clichy-sous-Bois. Take a look at the list of our different pools in the region. What to do in Paris during July and August? What do do during fall vacation? Fall is the season of festivals and exhibitions! Do not miss Heritage Days (Journées du Patrimoine). For adults and kids! Come to taste some German food and beer at the famous Oktoberfest in La Villette. Do not miss this special tradition! Take your kids to the Paris Horse Show to attend equestrian performances and demonstration shows. Meet your favorite TV shows - movies stars and directors or comics authors at the Comic Con (October 2018). You can also run for the French Championships of Cosplay! Bring your children to the children's book fair in Montreuil to discover the latest books and meet authors. Art fan? Attend La Bellevilloise art fair to get an affordable masterpiece souvenir from Paris! What to do during winter vacation? Celebrate Christmas in a different way with the Mandinka Christmas Night in Montreuil. Come to share a Malian meal with your family and friends! Christmas is coming and you are still looking for presents? Look at the list of our shopping malls. Winter sales are from January 11th to February 14th 2018. Go ice-skating at the Espace Pailleron close to the Buttes-Chaumont park. Enjoy the magical atmosphere of Christmas by watching your kids having fun at the Jules Verne Carousel. You are interested in aeronautics? Do not miss the aeronautical fair for trainings and jobs at the Air and Space museum (February 2019)! Take a look at the well-know Citroën museum for all car enthusiasts. You can enjoy a classical music concert in Paris or Seine-Saint-Denis. There are three terms in the school year, starting in September. While everybody starts on the same day, dates of the French school holidays vary according to the “zone” you live in listed in regional education authorities –“academies”. Thanksgiving holiday - autumn holidays: The Thanksgiving holiday lasts for two weeks in October or November. All the three academies – zones A, B and C – are all concerned and have the same school calendar for autumn holidays. Christmas holidays – December: Christmas holidays last for two weeks and straddle over the end of December and the beginning of January - December / January. The dates for the Christmas holidays are the same for all academies - Zone A, Zone B and Zone C.
Mardi Gras Holiday - winter holidays: Formerly known as Mardi Gras holidays, the winter holidays straddle overthe months of February / March. The duration of the winter break is two weeks for the three academies but not on the same dates (two zones overlap one week). Easter holidays, spring break: To each his own preference! On the official agenda of the French National Education it is called the spring break, for others it remains the Easter holidays. Depending on the academy sector thus for the zone A, B or C, it is possible to have their Easter holidays on the same dates as the religious festival (the "Easter Monday" is a public holiday in France ). Spring break lasts two weeks in the month of March / April. The three areas are not on vacation at the same time - two school zones overlap over one week. The summer holidays, summer vacation: The “holiday” dates cover all zones (A, B, C) over the period of July and August. The term “great vacation” was changed to "summer vacation" in the 1980’s. The duration of the summer holiday is about eight weeks - it tends to shorten over the years (in 1960 there were ten weeks). Please note that some schools prefer to begin the new term in late August rather than the official entry date in September.